As we were hanging out in Beechworth and its surroundings over Easter, we started to think about that area of northern Victoria as becoming our new Jasper. Jasper was our retreat area, a fairly quick trip from Edmonton into the mountains where we could relax and have fun. Now, after two trips to the region, covering the local government areas of Indigo Shire (Beechworth, Rutherglen, etc. ), “The Rural City of Wangaratta” (including Oxley, Milawa, Whitfield and the King Valley wine region), and Alpine Shire, we’re sure that this will be a common getaway location (though we haven’t actually been to Alpine Shire yet; it borders on the other two shires, and people tell us we need to go to Bright, Gapsted, and Myrtleford, so we’ll get there sometime soon). One of the main draws of this area is that it is culinary heaven. Milawa actually calls itself a ‘gourmet region’. It has a great cheese factory, an olive (and everything related) shop, and a winery with an amazing restaurant. 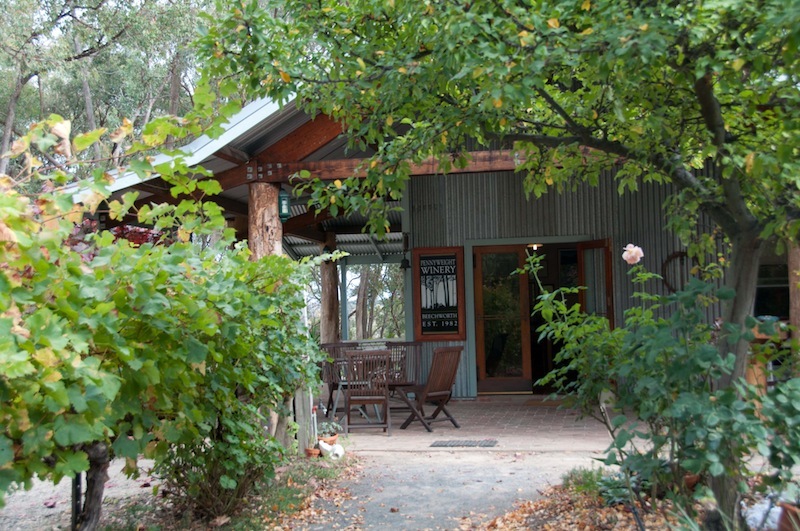 Oxley has a great winery with another good restaurant. We wrote about these places back in January. An unassuming place that looks about the same on the inside as it does outside, the Green Shed could hold its own in a major city. Beechworth, however, seemed to go one step beyond. There were three absolutely amazing restaurants in a city of about 3500 people. Provenance, where we were staying, is one of the top ones in the country; we ate there twice. 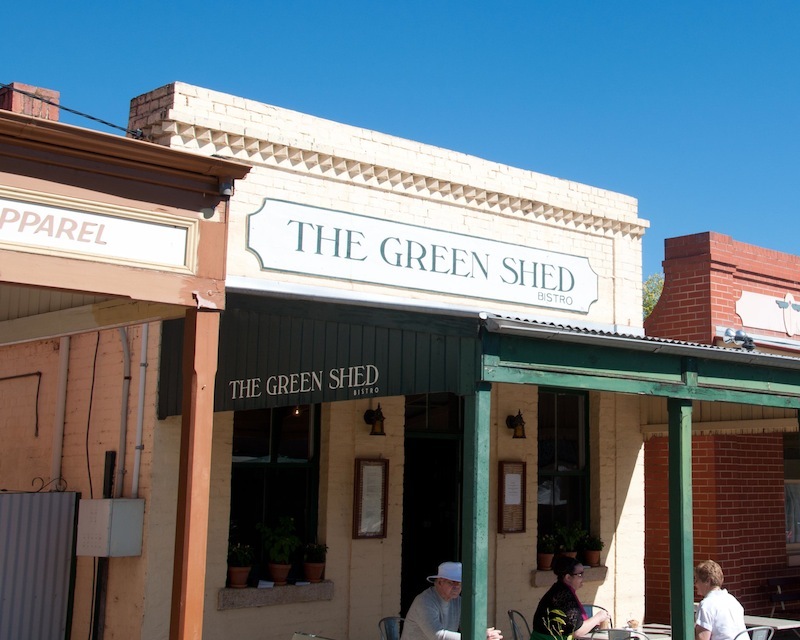 The Green Shed was a cool, old green brick and tin building, heated by a fireplace, that also had incredible food. Our waiter was a cool farm boy with a passion for dirt bikes and a burning desire to visit Canada (he asked us lots of questions). The third was Gigi’s – maybe not up to the level of the other two, but still pretty spectacular. Gigi’s is sort of Italian/Australian, whereas the others are a wacky fusion of Australian with Asian and Mediterranean influences (Green Shed has both dolmades and curry on the menu!). And 10 km down the road, there was also the Stanley Pub, which isn’t as much a pub as another fine dining establishment. You don't expect desserts like the ones at Provenance in a small town. 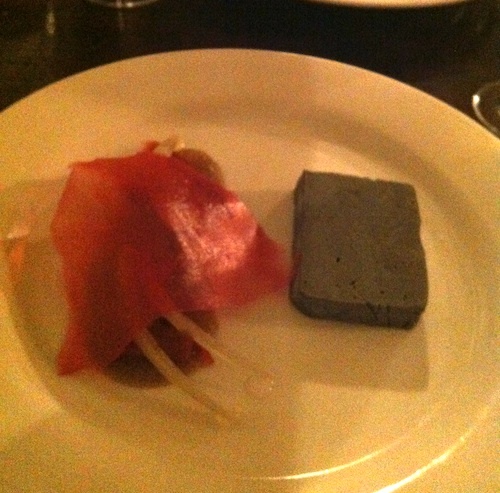 This was...well, the dark thing was a licorice semifreddo. No idea what the rest of it was, but it was tasty! Slightly more down scale was the Beechworth Bakery, which sells very good bread and pies (meat…and probably fruit but we didn’t notice). And those are just the places we tried. There were several others that looked worth checking out, but we only had a few days. In terms of food retail, there is a huge organic shop that blows away anything in Wagga. Lots of fresh produce, and some really great finds such as dried chanterelles (imported from France, but we bought a few packages because they were a really good deal). And a good cheese shop – Larder – that also sells house-made preserves. There are a few wineries with cellar doors though. We only went to one: Pennyweight. These people are pretty good at marketing themselves in the town. Not only can you get their wines at the good restaurants (we had a Gamay at one restaurant and then one of their dessert wines another evening, with dinner) but there are two ways to get to the winery. You can drive there on the road, or cycle there on the Murray to Mountains Trail, which we did. And most other visitors there at the same time had done the same thing…most of the people sampling were holding helmets. One ‘driver’ actually noted that all the healthy people there made her feel guilty! Of course, marketing wine to cyclists isn’t really easy; how do you get them to buy a case if they can’t carry it home? Well, you offer free shipping, which we would have taken advantage of but instead just said we would come pick up our purchases the next day on our way home. An idyllic setting at Pennyweight, on a cycle trail, where you can buy a bottle of wine and a cheese plate for the patio...then not have to drive home. You just have to figure out how to not fall off your bike. We quite like Pennyweight. They make good wines, and they have bio-dynamic certification. Before visiting, we weren’t sure what this meant – was it sort of a notch below organic? But no, it is actually a more stringent certification. They have to be organic, but also have as little impact on the local environment as possible. Not sure exactly what they do (probably minimal irrigation, etc.) but whatever it is, the results are great. The family who runs it come from generations of wine makers (Rutherglen pioneers) and this one son wanted to break out and do something different. The bike trail that Pennyweight backs onto is another attraction to the region. It is a huge cycling holiday area, with at least 15% of the vehicles you see on the road having bikes on a rack. There is something really special about being able to ride to a nice restaurant for lunch and stop at a winery on the way back. We did get to meet some other winemakers from Beechworth at the festival markets, some good, some not so good… Both Amulet and Indigo have cellar doors but came to the markets – we didn’t make it to their properties – with some good to very good product. Others, who shall remain nameless, came with…well, if you can’t say anything good about them, don’t say anything at all. Herbs from this courtyard garden flavour much of the food at Provenance, including scrambled eggs that were among the best we've had! There is also a really good wine shop in town, selling wines from Beechworth, Rutherglen and King Valley wineries that don’t have their own retail operations. This is where we found some really great stuff! The guy also stocks some European wines and a handful of ones from better wineries with cellar doors (Pizzini in King Valley, Stanton and Killeen in Rutherglen, for example) but mostly it is really rare and fantastic local vino that most people will never taste. So yeah, northern Victoria is a gold mine for foodies. What more could you want besides gourmet restaurants and primo wines? How about apples, chestnuts, berries, etc!? Fruit is so much better when you buy it from the farmer who picked it that morning. And here’s a weird fact: strawberries there have two seasons – spring and autumn. So we got some fresh autumn strawberries along with apples…never heard of such a bizarre fruit cycle in Canada! And a brewery with an interesting selection of pale ales…that will warrant its own post after our next visit. 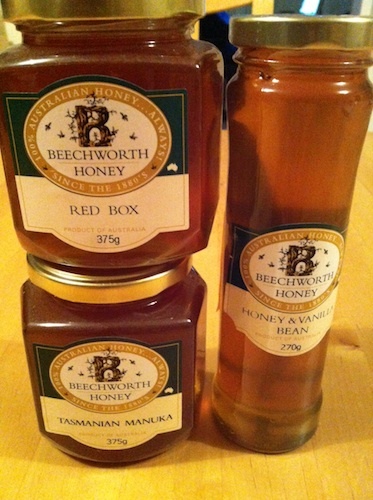 Three of the honeys tempted us enough to buy them: Red Box (a gum tree), Tasmanian Manuka (Aussies pronouce it Monica, not Maa-new-ka), and a generic local honey infused with vanilla bean! Sure, the hills there will never replace the majestic mountains of the Jasper and Banff national parks, but we’re pretty happy to have found a high elevation getaway. 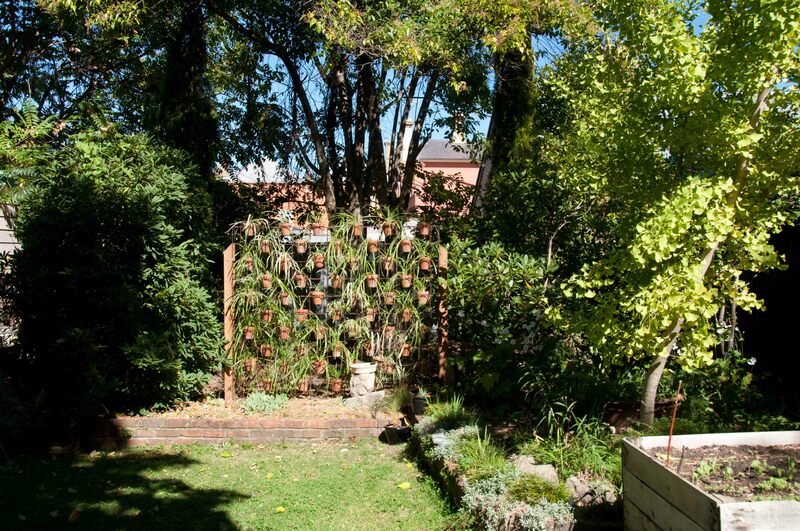 This entry was posted in apples, Beechworth, cheese, cycling, fruit, mountains, pie, small town culture, wine, wineries and tagged food, indigo shire, restaurants, travel, vacation. Bookmark the permalink. Add finding a bike rental service to the list. This sounds like a fantastic adventure. Note, don’t bike and text/phone after a few pints/glasses. We will find bicycles for you and Phil, and work out a good itinerary. There’s also another trail that has just opened recently about another 100 k south of this one, that goes through similar environment. One of them will be a highlight of your visit.